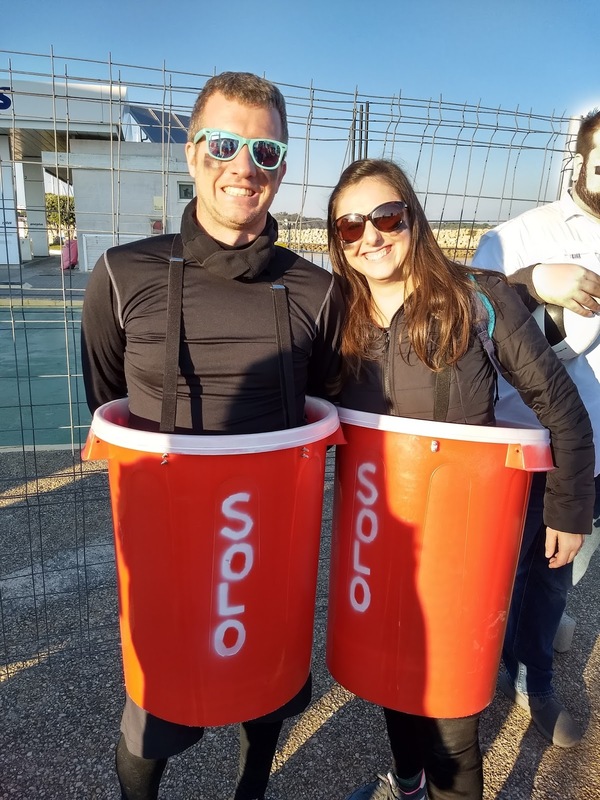 When you think of Carnaval -- you don't always think of Spain, but parts of Spain go all out for Carnaval and we happen to live in one of those areas! * Carnaval (yes, with an A) is the celebration (party, if you will) leading up to Lent. 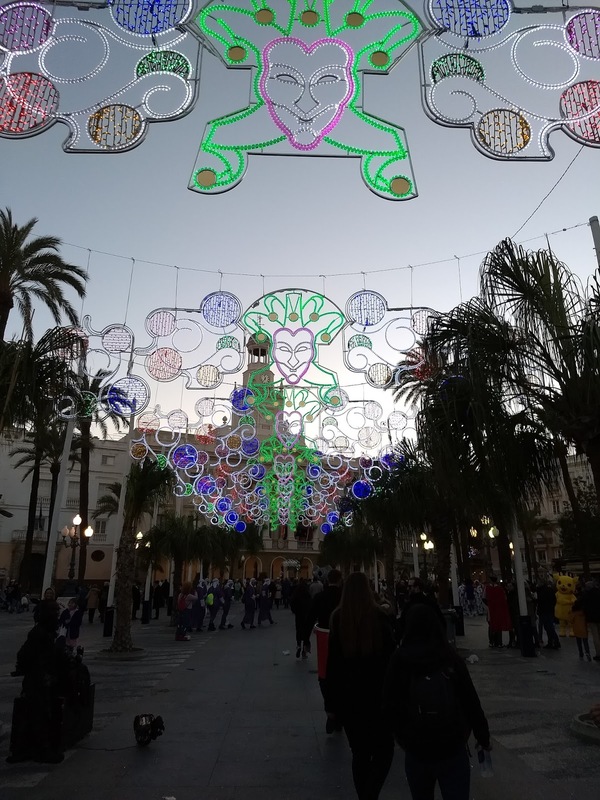 And while each of the local towns in our area have their own celebrations, Cadiz has a huge celebration that usually lasts at least two weeks, and past the beginning of Lent (Ash Wednesday)... which makes no sense to me as I always thought the party ended at Lent, but not in Spain apparently! But the Saturday before Ash Wednesday, Cadiz has a HUGE street party -- HUGE. The streets are closed to all vehicles throughtout the whole main part of Cadiz. Bars and restuarants set up make-shift bars outside on the sidewalks to serve food and drinks... and then everyone just parties in the street. One main square as a stage where musical groups perform -- usually the songs are satircal (and in Spanish). And EVERYONE wears costumes -- everyone. And they are mostly group costumes and puts any Halloween or Pinterest costume to shame. These were some of the most ellaborate and amazing costumes I have ever seen. Even our own town has a big parade before Lent and then celebrations continuing past Ash Wednesday. The big kids/family parade in our town is put on by all the schools -- each school (and all the teachers, families, kids etc) dress up according to the school's theme and then join the parade with their floats and music and dancing. We were lucky enough to have friends in town from the states for this year's parade so they got to experience the craziness of Spanish parades! And next year, when Serafina is in public school -- we will most likely be joining the parade as well. And all the schools, Serafina's included, celebrate Carnaval too -- usually the Friday before the town's school parade. Many schools dress up similiarly or each class follows a theme. 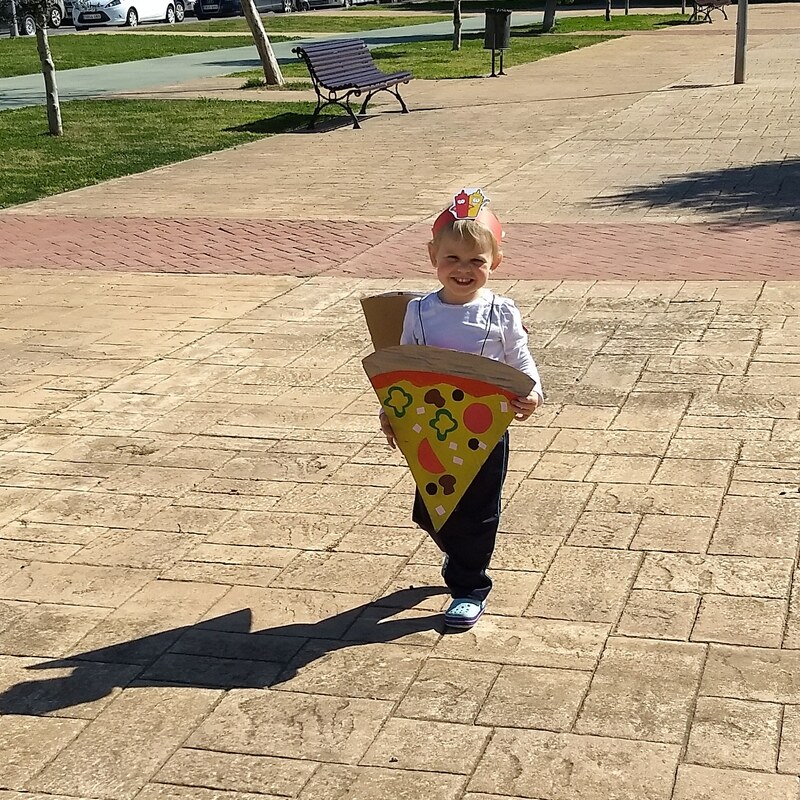 Serafina's class all dressed up as pizza -- the teachers made pizza costumes for all the kids and it was freaking adorable. 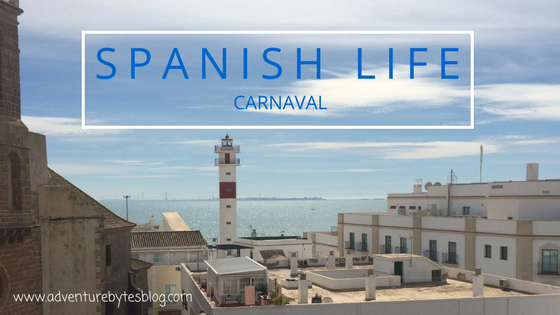 Carnaval kicks off my most favorite time in Spain -- seriously the two months between Carnaval and Feria are the best, including Easter and the processions of course! And maybe next year with the Peanut being a little older, we will brave the crowds for the Cadiz parade.